The important thing about creativity is to always try something new, challenge yourself and learn a new skill. I’ve been thinking about creating downloadable digital files for my Etsy shop, but don't have the experience of original digital designs (that people will pay money for!). 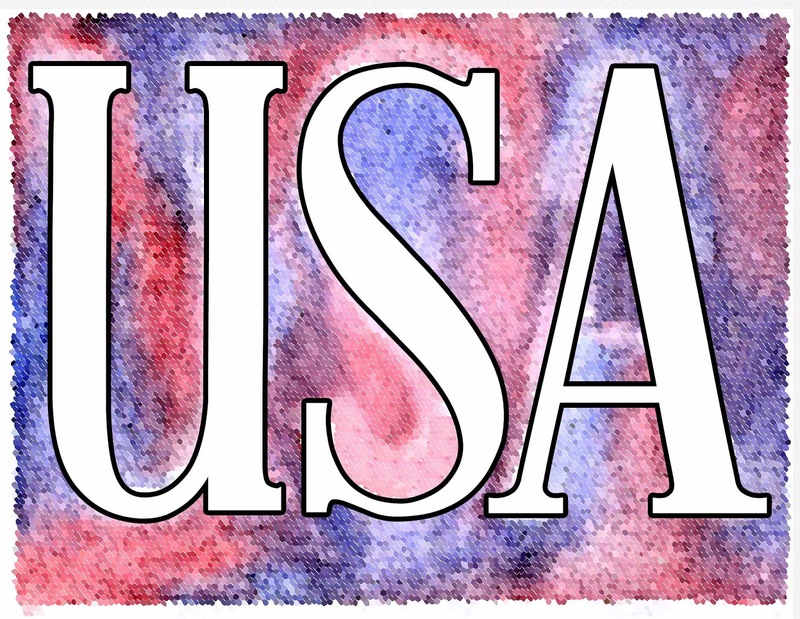 Since I have the drive and creativity, today’s project takes one of my watercolors and challenges me to utilize my digital skills to create a unique design. 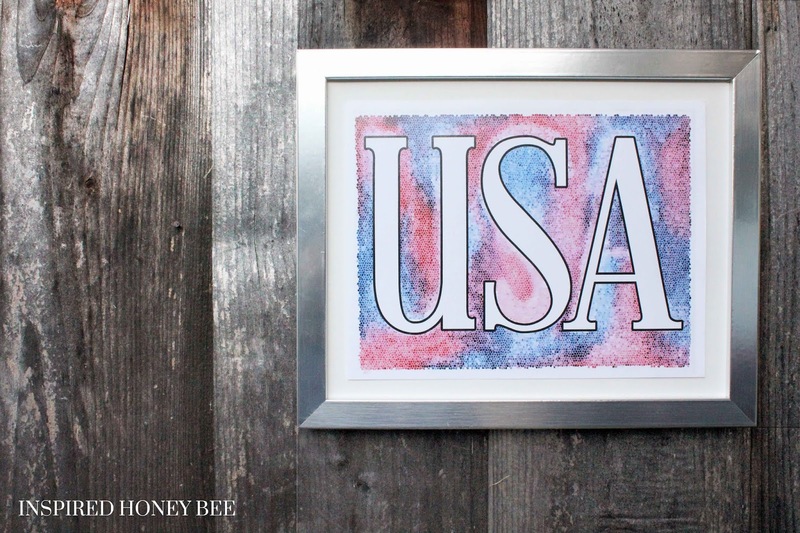 A few more weeks until the Fourth of July and this test is a freebie for you. The original design here was free hand - watercolor paint and paper, blue and red watercolor paint, brush and water, and I just started painting and blending. 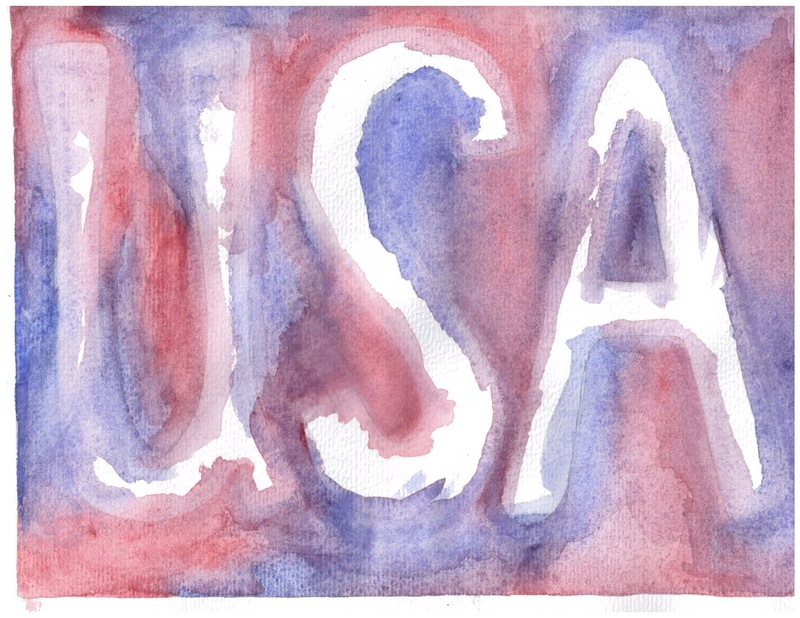 Originally, I outlined USA with pencil (freehand) and painted around the letters. My plan was to overlap the outline of letters on the hand script USA (like a basic Times New Roman). I uploaded again and implemented the Stained Glass Photoshop effect and wowza! I do love how this turned out. With Abraham Lincoln font (free here), I added the USA in white with black outline so that it really pops out! Awesome, right? Click here for the Stained Glass effect version. Click here to print the Stained Glass + Smart Blur effect version. Click here to print this third version. Click here to print the final (and my favorite) version. With a little practice, I’m hoping I can eventually create original digital files to sell on Etsy, especially for those grooms and brides getting ready for their wedding events. In the meantime, I'll keep creating and sharing with you! 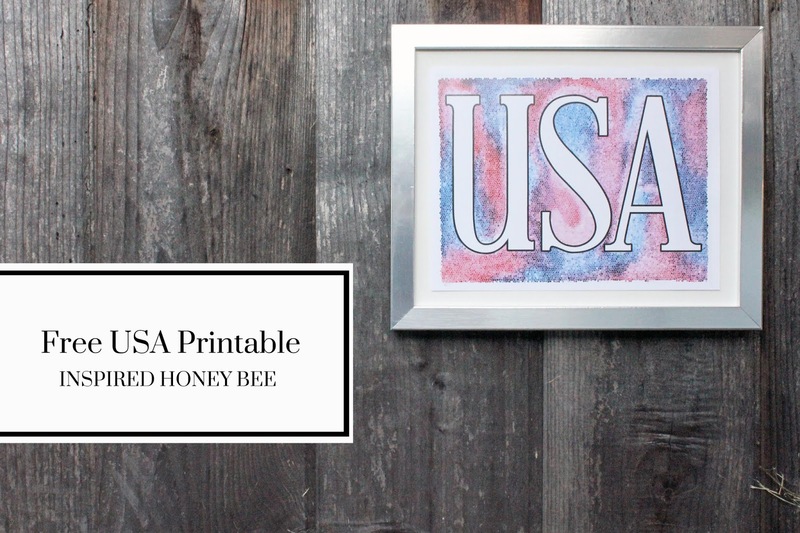 If you download one of the above designs for your own patriotic decor, I'd love to see it ... tag me on any platform at #ihbblog!